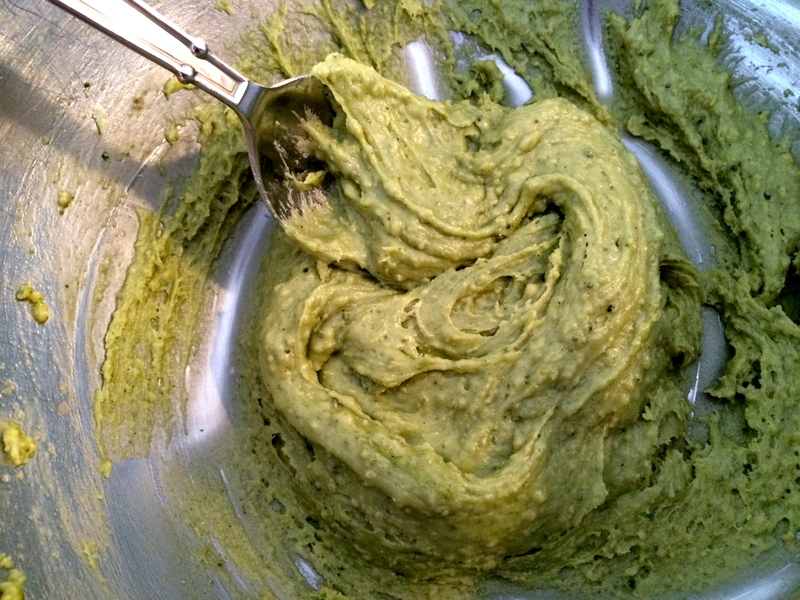 I love making things for St. Patricks Day – probably because my favorite color is green! You can be sure there will be tons of kale and avocados and olives on my plate, and this year I also wanted to make a special dessert to mark the day. 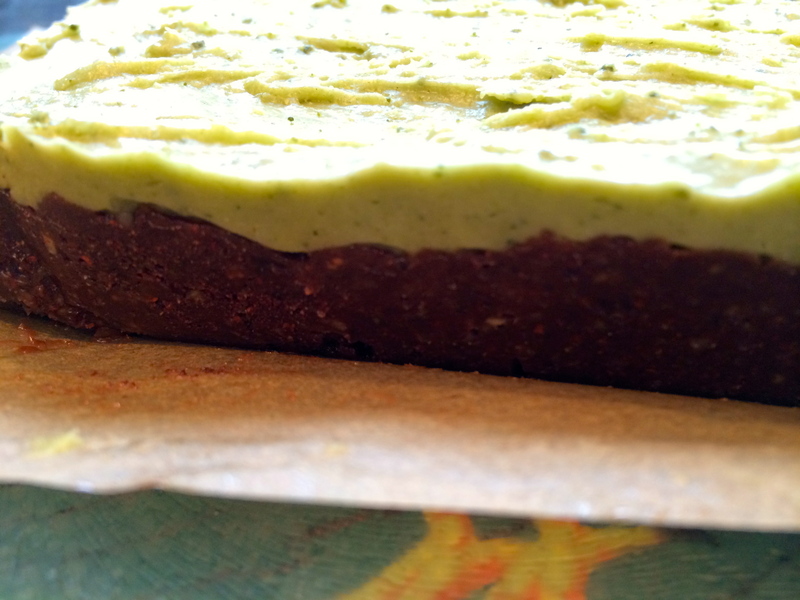 I love using matcha powder. 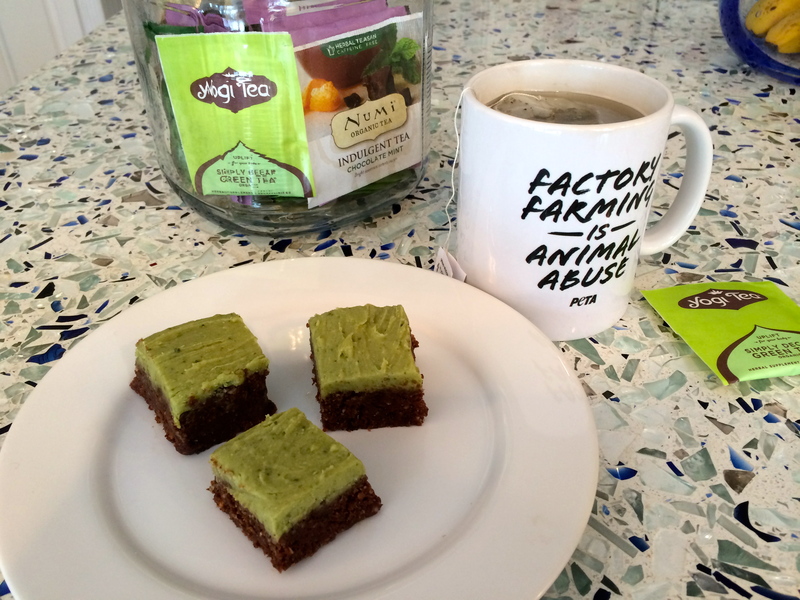 It is just green tea made into powder form and it is wonderful to cook with. It also has amazing health benefits. 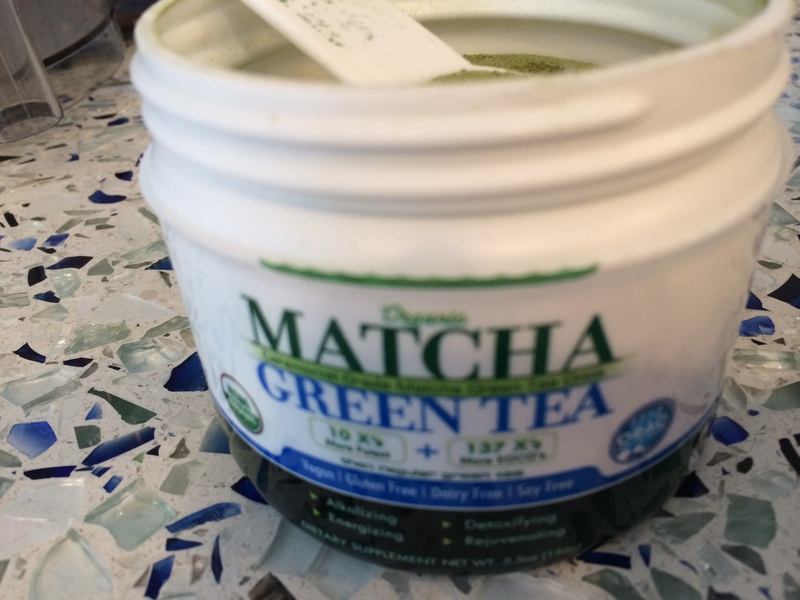 In addition to providing trace minerals and vitamins (A, B-complex, C, E, and K), matcha is rich in catechin polyphenols – compounds with high antioxidant activity. These compounds offer protection against many kinds of cancer, help prevent cardiovascular disease and slow the aging process. They also reduce harmful cholesterol in the blood, stabilize blood sugar levels, help reduce high blood pressure and enhance the resistance of the body to many toxins. 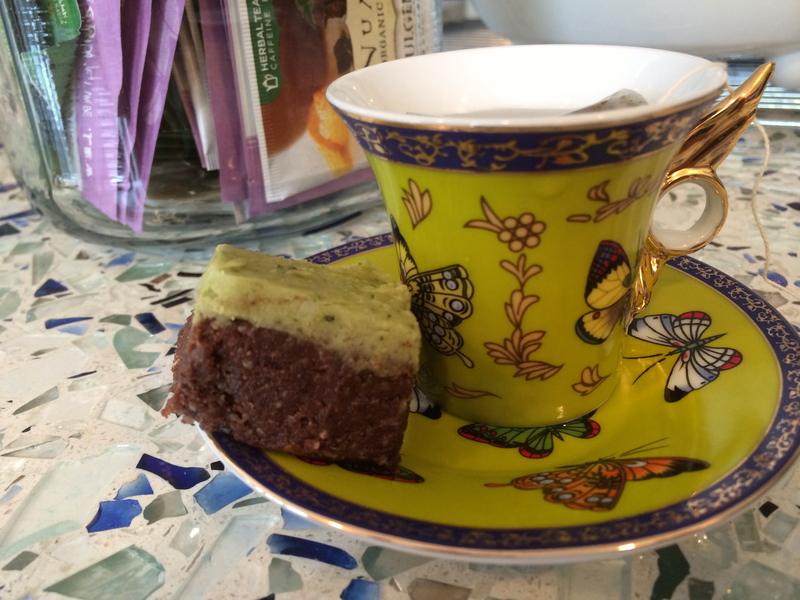 The most important polyphenol in matcha is EGCG (epigallo-catechin gallate), which is the subject of many medical studies. 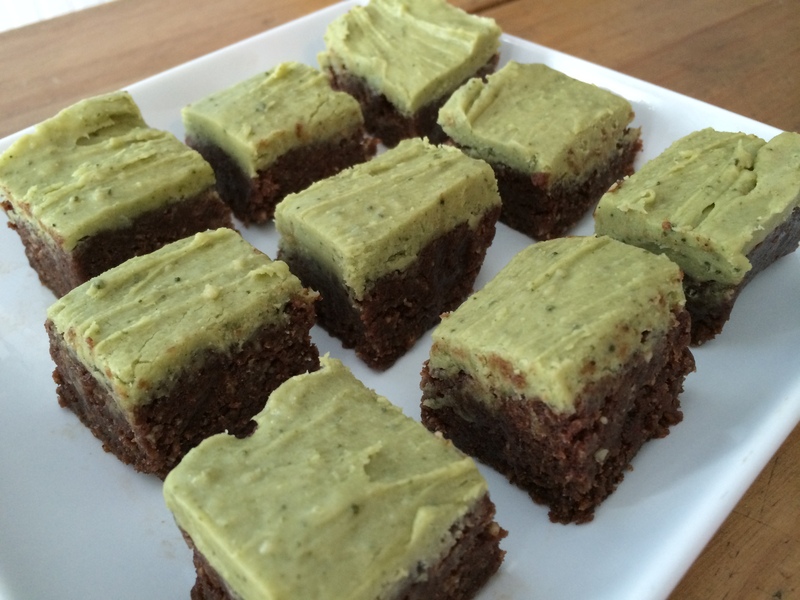 Matcha has a significant amount of dietary fiber and practically no calories. 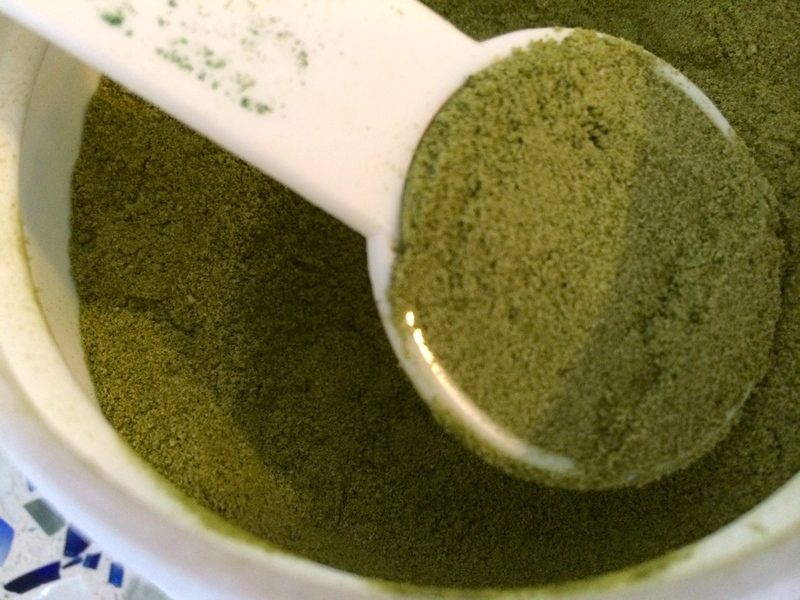 That’s a lot of good stuff for one deliciously green powder. 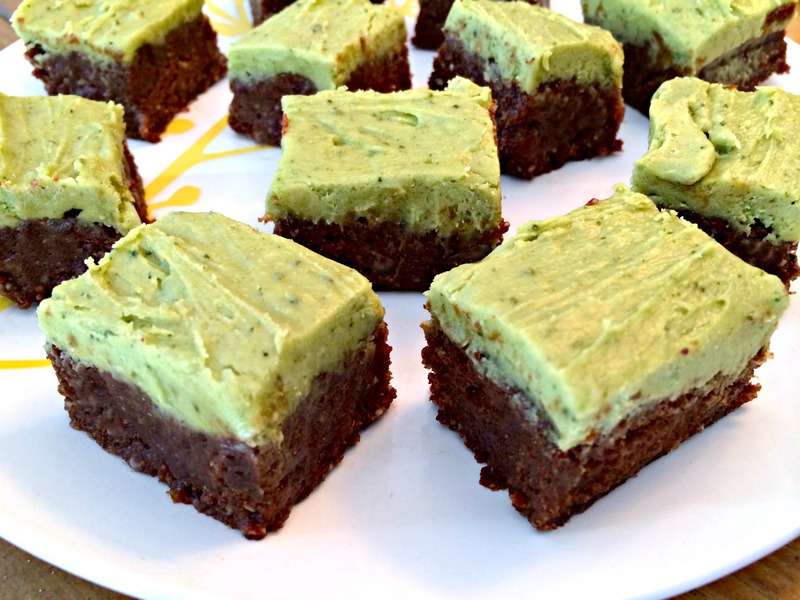 Combine that with these raw brownies, and you get an easy to make dessert that is worthy of special holiday recognition! Enjoy! 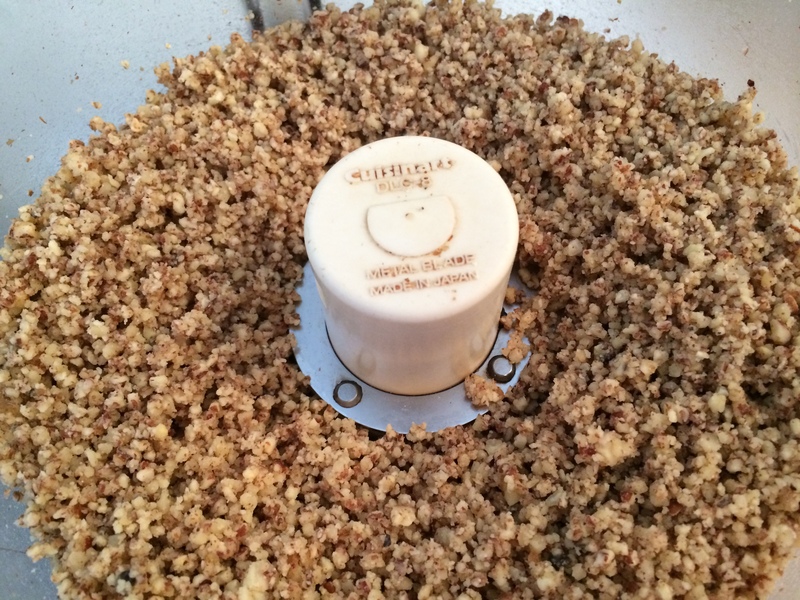 Place pecans and walnuts in food processor and process into small pieces like sand. 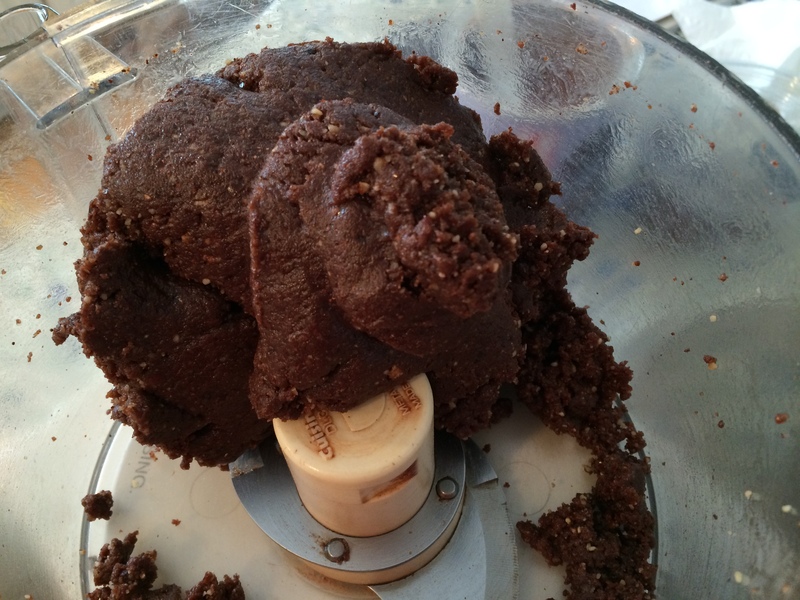 Add the remaining ingredients and process until it comes together into a ball. 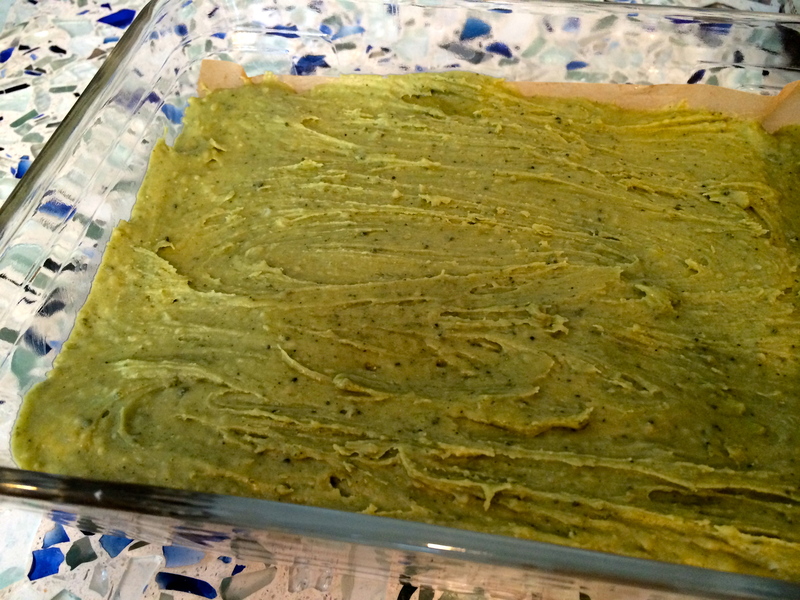 Press into an 8×6” pan, lined with parchment paper. 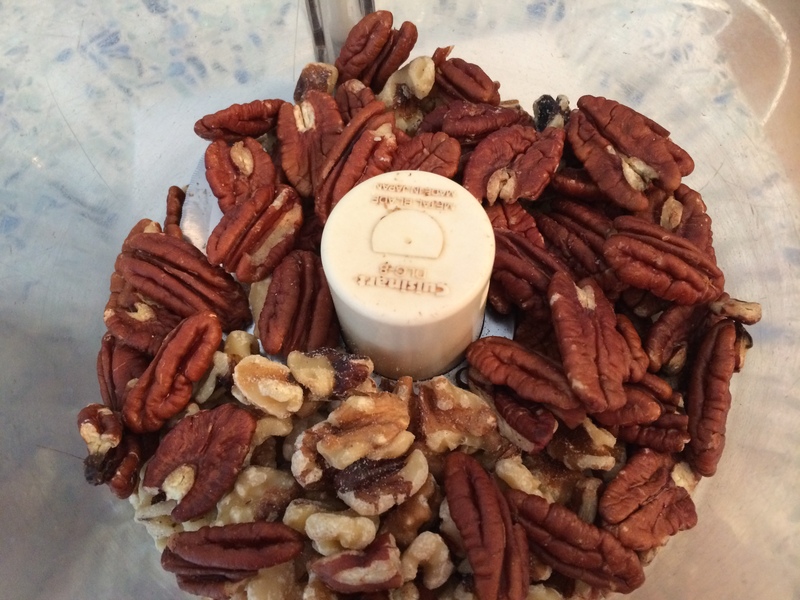 Place in fridge while making the frosting. Combine all ingredients in a small bowl and mix well. Add 1 T water if needed for frosting consistency. 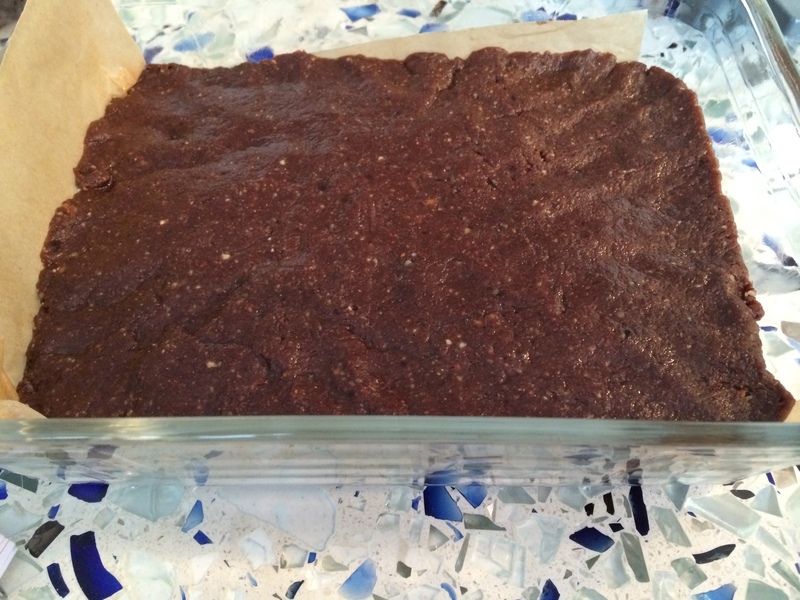 Spread over brownies and place in fridge for an hour before cutting. 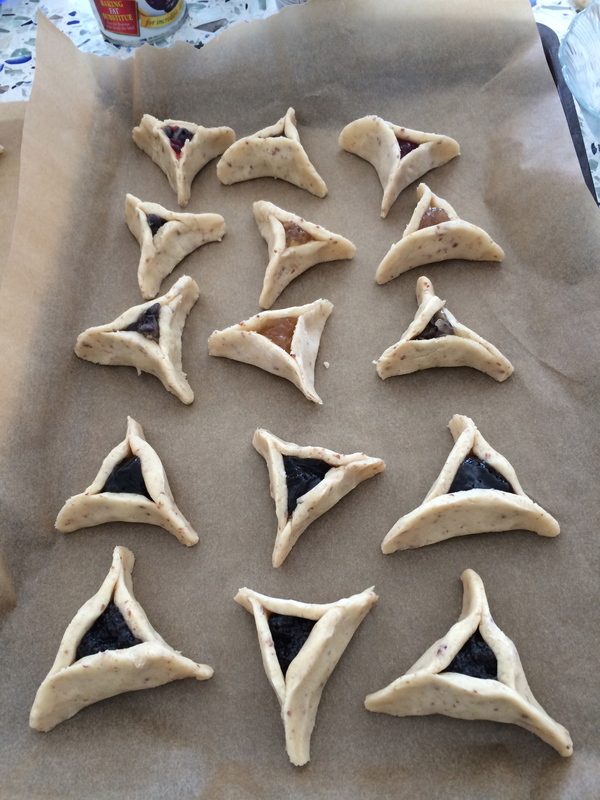 I’ve been making hamantaschen for many years now. When my kids were small, we used to make hundreds at a time so we could deliver baskets of them to friends and family. 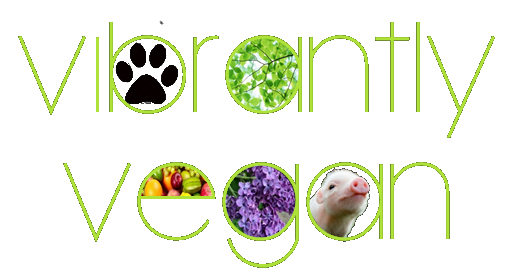 We’ve all looked forward to them every year, and going vegan, we did not have to miss a beat. I veganized our favorite recipe and they still come out perfectly every time. 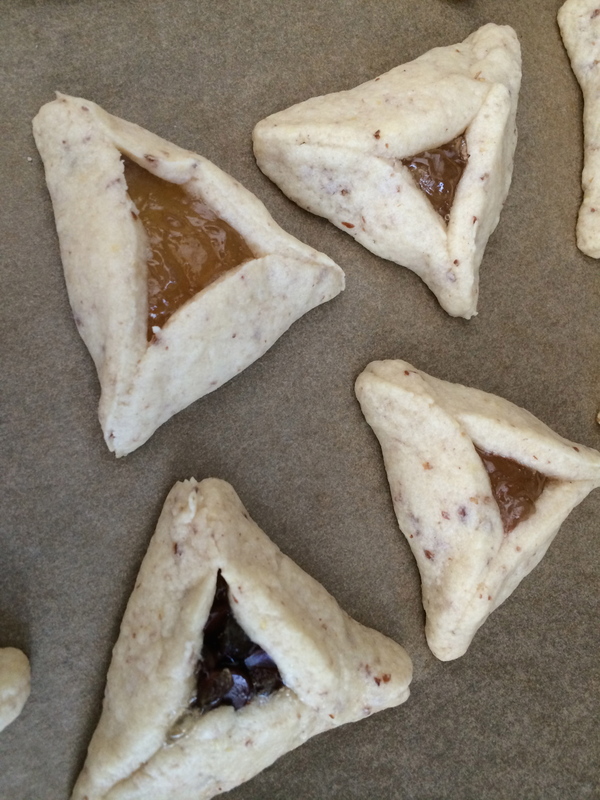 I think everyone who makes hamantaschen should be making these vegan ones. 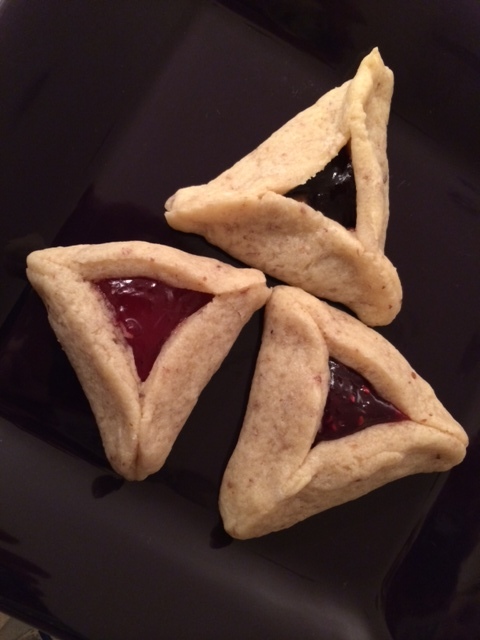 After all, the holiday is about escaping the cruelty of Haman, and what better way to truly appreciate that than by making these cruelty-free hamantaschen? With a hand mixer, cream shortening and sugar. Add flax mix, vanilla and oj and mix until all incorporated. Add flour (in two batches), salt and baking powder and beat until all combined. Form dough into a ball and place in fridge for 1/2 hour. 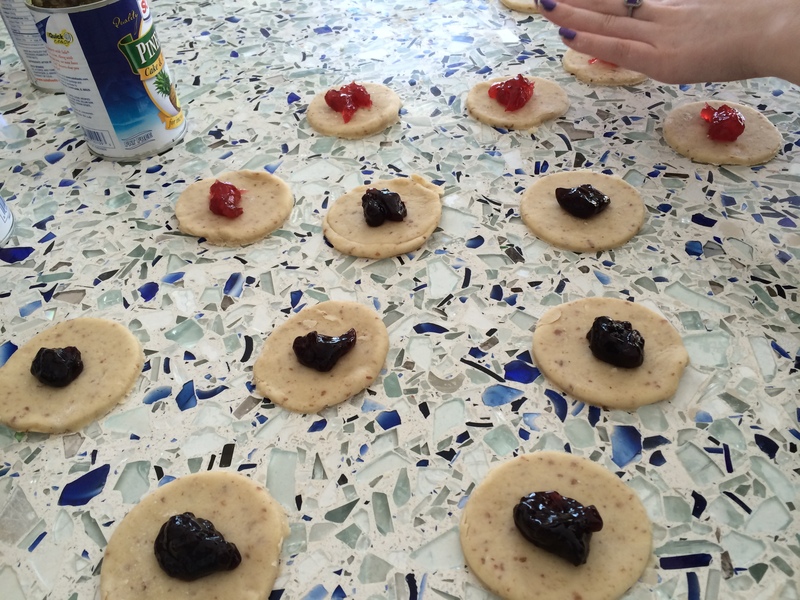 Using flour, roll out dough to about 1/4” thickness and use a round glass about 3 1/2″ wide to press out circles. 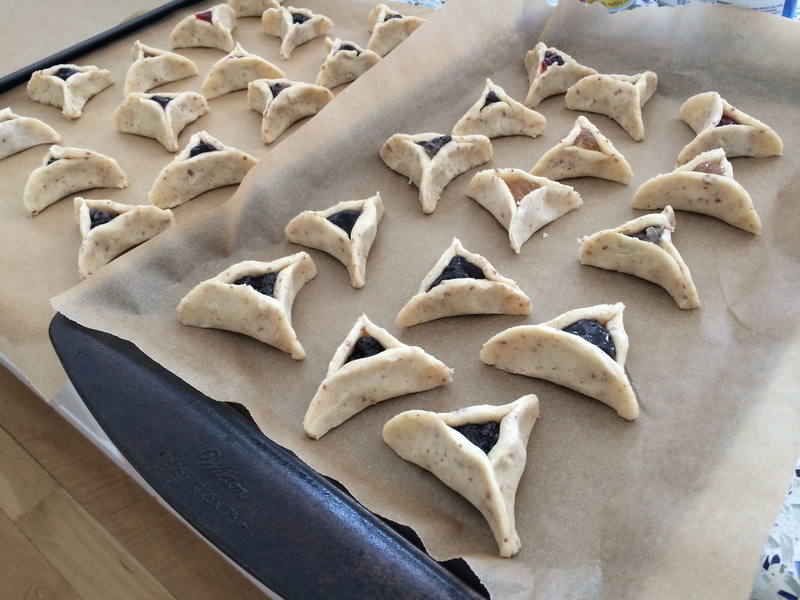 Place a teaspoon of filling on each circle and some choc chips if using and then wet the edges of the circle as you press each one into a triangle shape. Place on parchment covered sheets and bake 12 minutes. They will be very soft, but will harden as they cool.